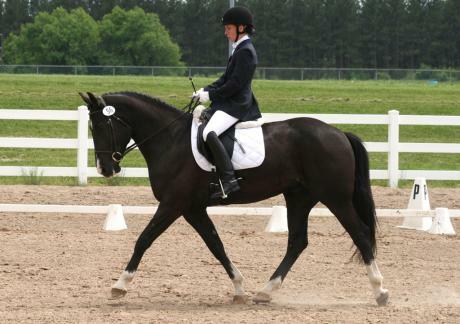 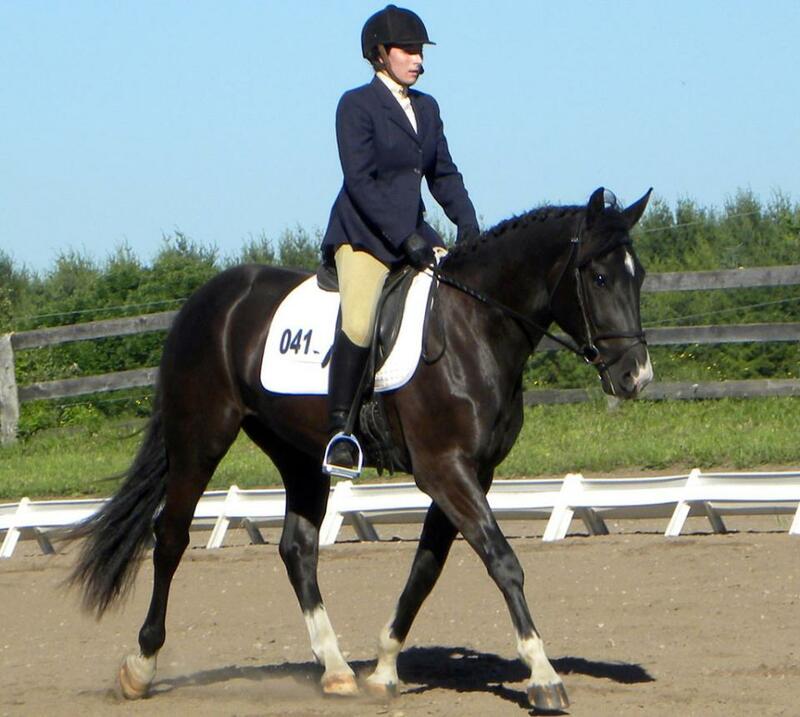 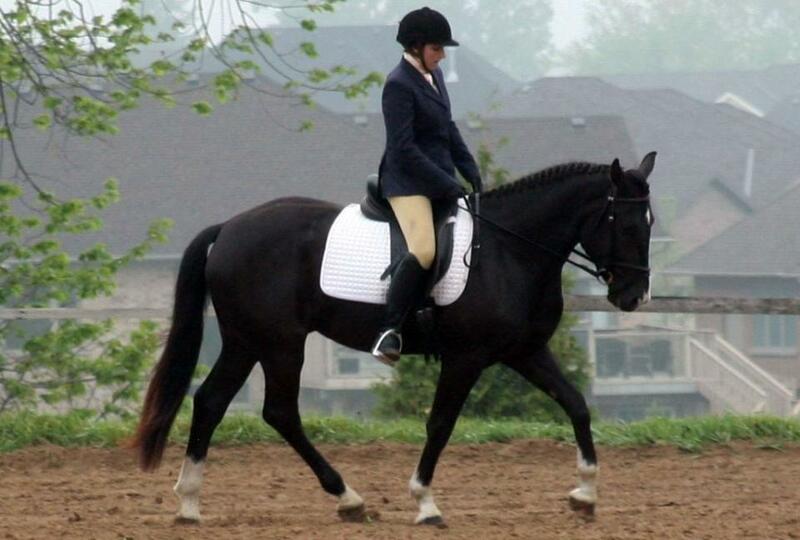 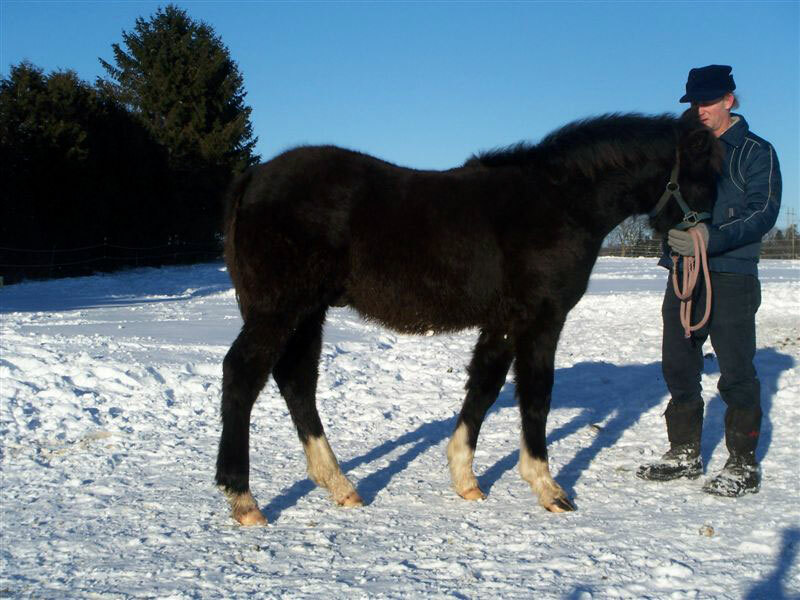 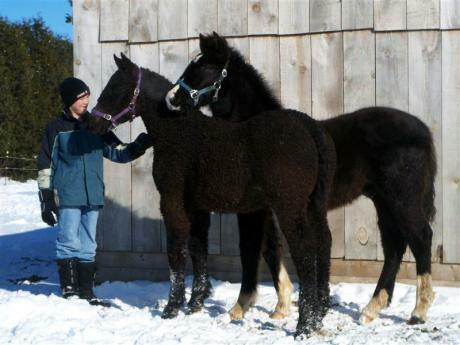 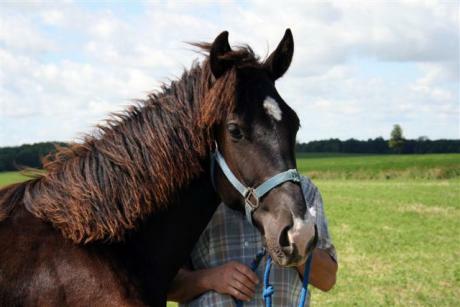 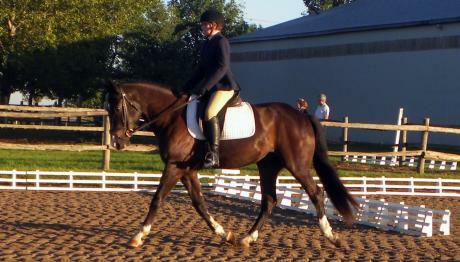 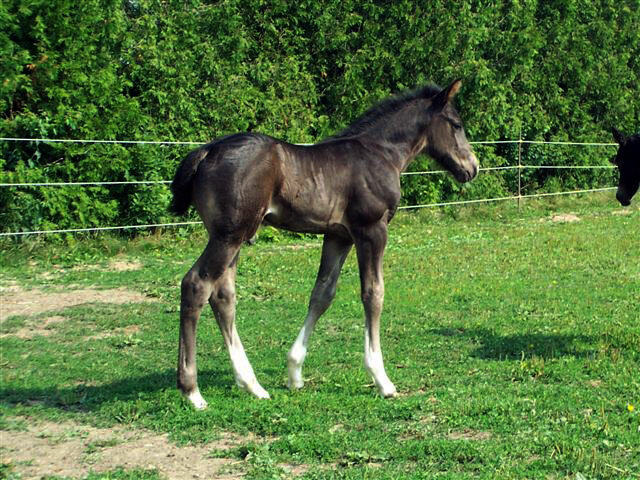 This handsome, black, smooth coated, colt has a white star, snip, four white socks, and has lots of presence. He has high withers, a sloping shoulder, well musceled hind quarters, a pretty head, a very friendly temperament, and big movement. 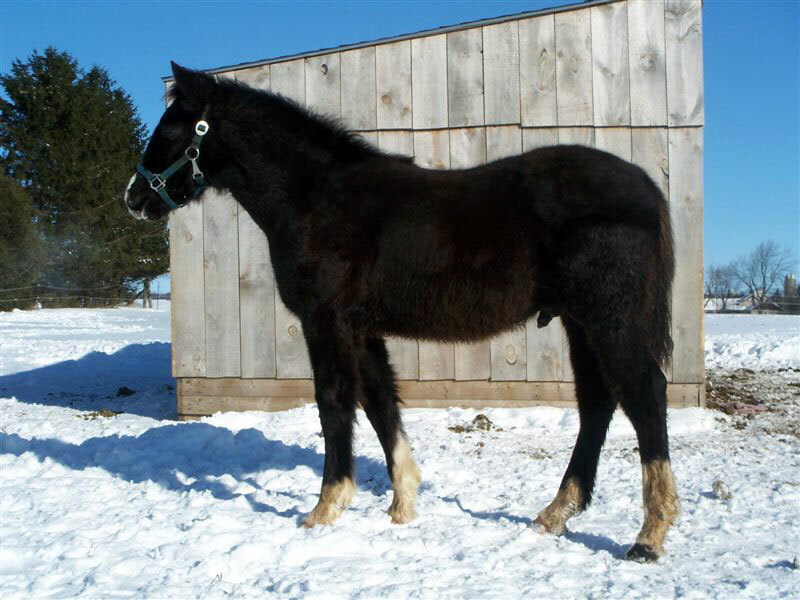 Thunder is the result of tight line breeding, sire and dam's pedigree can be found on the stallion and mares page, lots of black top and bottom. Both parents are 15.3 hands, so we expect him to reach the same height or more. 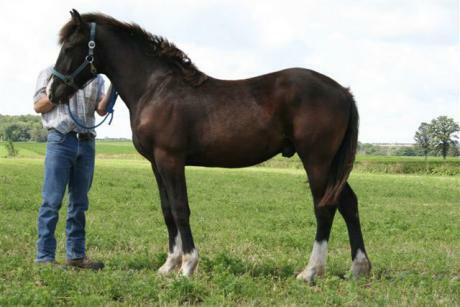 Thunder is an exceptional colt and will be sold as a stud colt or go to a show home only. Update: FloraLake MiEbony Thunder (Gryphon) has been named Reserve Champion at the Ontario Silver Dressage Championships in Open First Level! 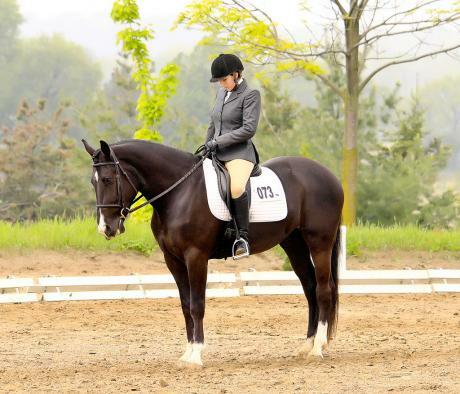 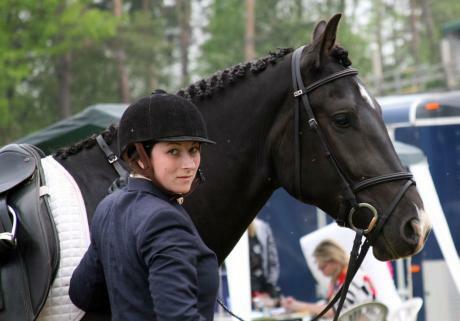 Congratulations Norma McDonald and rider Annie Baird!